No need to deal with multiple vendors for your complex wood packaging requirements. We can do anything from pallets to lumber to boxes! We use our own fleet of trucks as well as a list of dedicated carriers to ensure your product is delivered on time and to your specification. 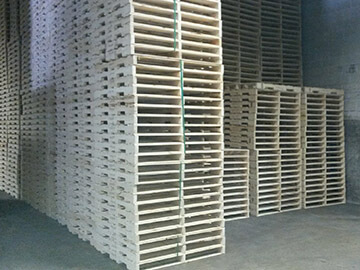 Ongna Wood Products uses PDS (Pallet Design System) software to design pallets to our customer’s unique specification. This software is recognized around the world for being used to design pallets that are right for the job! We are proud to have 85,000 square feet of facility with one of the largest arsenals of equipment in the industry. Ongna Wood Products strongly believes in taking care of the environment. We utilize 100% of the wood that goes through our facilities. We are proud to be a zero waste operation. We have over 45 employees who are dedicated to their job and have one goal: to produce quality packaging for you. Because of our low employee turnover, our staff's combined years of experience is well over 100 years. 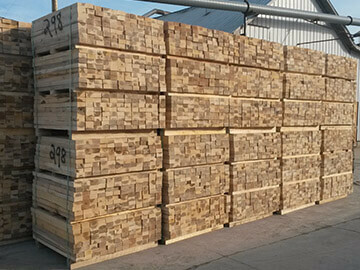 With our onsite sawmill, cutting operations, assembly operation, warehouse facilities and fleet of trucks we can control our products from the log to your dock. 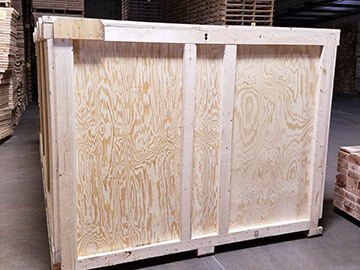 For un-compromised protection and stacking capabilities, Ongna Wood Products packaging increases your profits by reducing shipping claims. 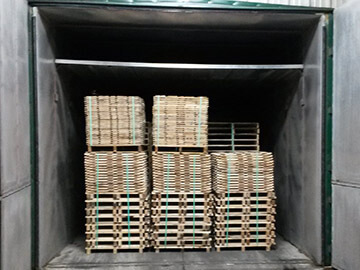 We provide complete design and troubleshooting for simple pallets to complex heavy duty crating.